Karim & I have been blessed with two wonderful children, first a girl and then a boy. It seems not so long ago when both of us took a big decision to become business owners and get in to the field of education. I left my high powered job as an Senior IT professional in order to fulfill a life-long passion in early childhood education as well as being close to my daughter who was 2 years old then. Soon after, I was pregnant with my son and have not looked back since. It will be 10 years in 2014. Although, the years have had it’s challenges, working with children has brought with it a sense of satisfaction that comes with creating environments that are nurturing, accepting, encouraging, and secure. We at Discovery Point Cruse Road, believe that early childhood is a critical period in a child’s development. 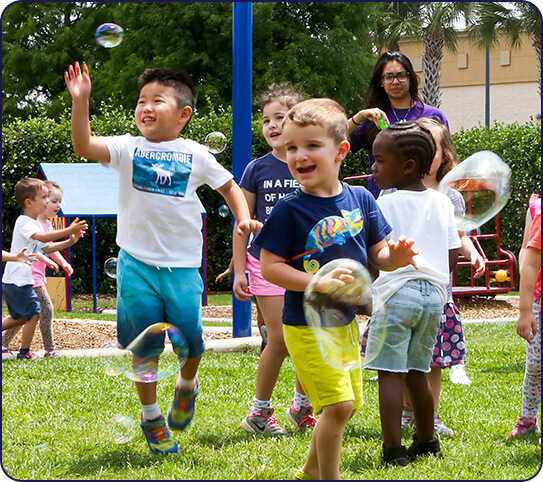 Recognizing the importance of these years, Discovery Point provides programs that are uniquely designed to meet the developmental needs of every child. Children will experience a stimulating and nurturing environment in which they can explore and discover as they grow socially and academically. Where learning is disguised as fun! We believe that a close home-school-community partnership promotes children’s learning and success at school. We encourage families to become actively involved in their child’s learning both at home and school. Come Discover the Discovery Point Difference! Take a Tour Today. I would like to invite you to sit down and discuss your child’s particular needs and interests with us. Choosing care for your child is a very personal and important decision, and if there is any way that I can assist you, please don’t hesitate to contact me.